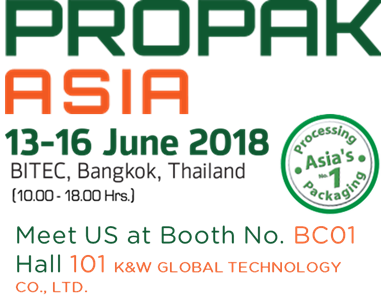 Hiperbaric will assist to the Propak Asia in Bangkok, 13-16th June 2018 in BITEC Bangkok, Thailand. This year´s Propak will be the 26th edition of the event and will bring hundreds of companies to the Bangkok International Trade Exhibition Centre (BITEC) in Asia’s Number One international trade event for Food, Drink & Pharmaceutical Processing & Packaging Technology. Hiperbaric, the world leader in manufacturing and distribution of High Pressure Equipment (HPP) for the food industry has 4 big systems running to export HPP coconut water from Thailand to the whole world. This makes Hiperbaric the HPP company with the strongest presence by far in Thailand as in the whole Pacific Area, where the company has 50+ installations. Hiperbaric will be present in Hall 101, Booth BC01 Processing Tech Asia Featured Exhibitors hosted at K&W Global Technology Co., Ltd.´s Booth. We look forward to seeing many familiar faces as well as establishing contact with new companies that can help us accomplish our goals of creating a better world with better food through HPP. If you want to know more about HPP, do not hesitate to contact Hiperbaric, the global leading supplier of High Pressure Processing equipment for the food industry.